"Fashion Leggings - Wanderlust". A pair with a fun print which a traveler would definitely like to own. LEFT LEG has the text "WANDERLUST"
Fashion Leggings have always been a wardrobe win. These premium leggings make an effortless appeal that makes the perfect fashion statement in a snap. Wear them any time of the year and get ready to receive compliments! 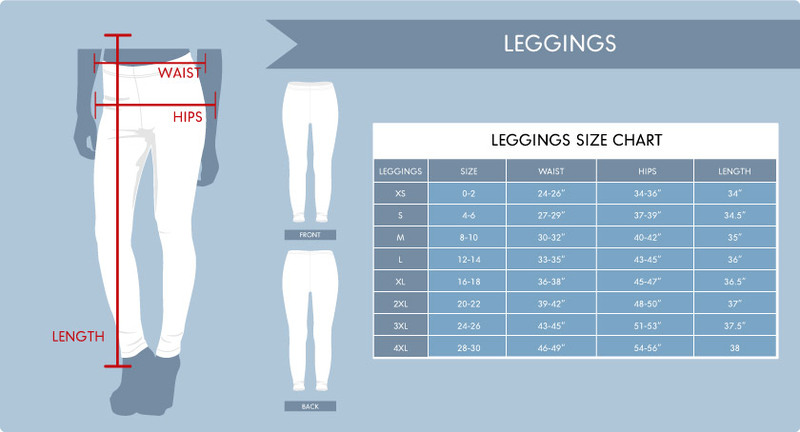 Select Your Size from the Chart below and Click the Green "Buy Now" Button to Claim Yours!